The two photos on the left are actually from 2 years ago! I bought the BAB program during your last promo along with the 8 week guide! I have made side by sides before but never seen progress like this until I got your guide! 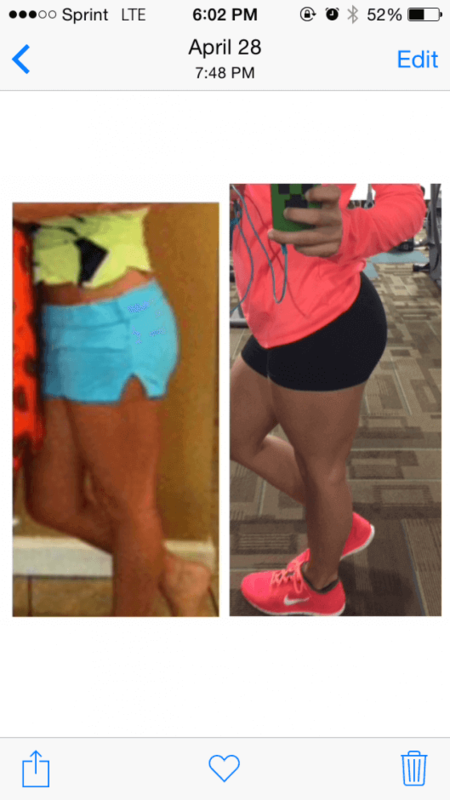 I would incorporate the BAB into my leg workouts twice a week! Your guides taught me so many workouts that I’d never even thought of before! I am so in love with the progress I’ve made so far and can’t wait to continue my journey with you as mentor! Most importantly I feel so much more confident not only in the gym now but just in my own skin as well! Thank you Katy!